Is this a good cover? I like it. The picture is by Sam Dawson, who has also provided an illo for one of the stories in the issue. Anyway, let me know if you have an opinion. I should add that ST is now on Facebook! Yes, there's a Supernatural Tales page as well as my own page as a mere person. I suspect that most ST readers who Facebook already know this, but I thought I'd mention it. Helen Grant's collection The Sea Change is available from Swan River Press. Helen's blog entry about it is here, and there's a link to Swan River if you'd like to order the book. Helen has carved an impressive reputation for herself as an author of what's loosely termed teen fiction, producing non-supernatural - but still quite spooky - thrillers. In future she may produce more supernatural fiction, but in the meantime her collection is an excellent example of modern work in the genre. I studied Julius Caesar at school. I used a time machine and a powerful telescope, and he had no idea I was watching him! Well, okay, it was just the play really. 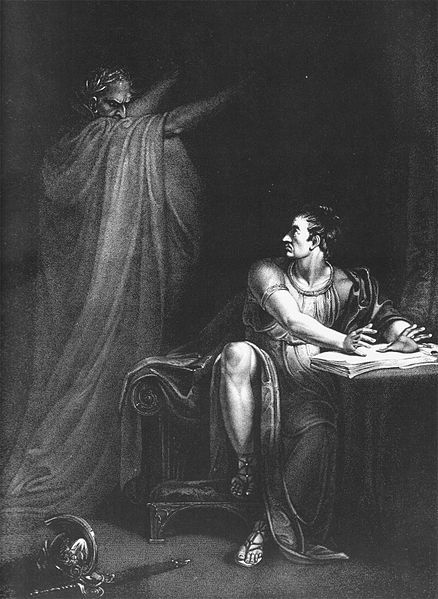 It's interesting that Shakespeare shoves the ghost of Caesar into the play to tell Brutus that he will lose the battle of Philippi, a situation essentially the same as that of Richard III on the eve of Bosworth. The discovery and imminent re-interment of the remains of Richard III made me ponder Shakespeare's controversial treatment of the last Plantagenet king of England. 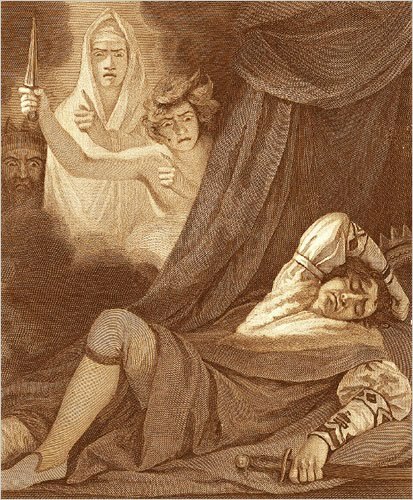 One obvious feature of the Bard's play is that - like Hamlet, Macbeth, and Julius Caesar - it features fairly conventional ghostly apparitions. In Richard's case, it's on the night before the battle of Bosworth Field (just when a warlord needs a good night's kip, or knight's kip) that all his victims turn up to tell him off in no uncertain terms. Just to underline the point, the same ghosts, by some feat of bilocation, also appear to Henry Tudor (here called Richmond, after his more English-sounding dukedom earldom I suppose) to tell it will all be fine, no sweat. I really like submarine stories. Put me in a U-boat or similar contraption (fictionally speaking) and I'm ready and primed for terror, with lots of pings, explosions, and steam shooting out of all those assorted overhead pipes. So a ghost story set on a submarine is right up my street. The 2002 movie Below didn't get a lot of publicity at the time, probably because it is in many respects a rather formulaic war movie jazzed up with a supernatural twist. That said, I found it very entertaining within those quite roomy parameters. A good but not starry cast deliver a well-crafted script that is economical and convincing. The actual story makes sense. This is not one of those films that leaves you going 'Huh?' after the big reveal - indeed, there is even a massive, honking clue as to what's going on in the first few minutes. So, what's it about? The situation is simply that an American submarine in the Atlantic - we may infer somewhere around the Bay of Biscay - is ordered to pick up survivors from a British hospital ship, returning to England from North Africa. The survivors turn out to be a seaman, a nurse (played by Olivia Williams, who was in Joss Whedon's Dollhouse, if you've seen it), and a German PoW. Below reminds me in some ways of an extended episode of The Twilight Zone, albeit with plenty of modern horror twists. There is the inevitable bit when some hapless guys have to go into The Very Dark Confined Space To Do The Vital Job, for instance. And there is a totally unhistorical scene in which a German destroyer attacks the damaged sub with grappling hooks. Overall it works well, and that's what counts. While this one may not be worth seeking out unless you share my submarine addiction, if it happens to be on I'd recommend giving it a try. Over at the excellent A Podcast to the Curious there's a lively and entertaining discussion of 'Two Doctors' by M.R. James. This has been repeatedly voted one of the author's worst stories, if not the worst, and it's not hard to see why. There is no clear explanation of the what happens, why it happens, or whether there is any comeuppance for the supposed villain, Dr Abell. he would ask me, for example, what place I believed those beings now to hold in the scheme of creation which by some are thought neither to have stood fast when the rebel angels fell, nor to have joined with them to the full pitch of their transgression. Now when I first read this (many years ago, in pre-internet days) I immediately thought 'neutral angels'. I had at the time, however, no clue as where the term had come from. In listening to the podcast I was reminded of that odd phrase and decided that the amazing Google machine might be of assistance. Sure enough, it took me to some notes on Dante, who placed the supposed neutral angels in the vestibule of Hell. Apparently several mediaeval legends mention such beings. Conventionally, and in a lot of bad horror movies, 'black magic' is performed by the intercession of demons. You sell your soul to Satan ('Sign in blood on the dotted line, please') and you get to see your enemies destroyed while you win the lottery, gain promotion, grow an inch taller, pull all the best birds etcetera. 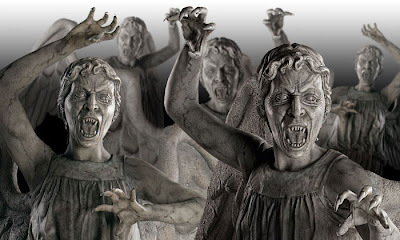 But it seems that Dr Abell was of the opinion that one could recruit 'non union' fallen angels to achieve similar results, without having to sell his soul. A brilliant plan. What could possibly go wrong? I would quibble with Tom Cox's Eton College reference, as MRJ wasn't in late middle age when he began to read ghost stories to friends. But the point is made well - RLP does a splendid job of recreating the author as a kind of living prose style. Overall, this appreciative piece makes some good points, not least the difficulty of reciting (RLP doesn't use a script) a story to a modern audience with a fair mix of attention spans. An eBook edition of Bram Stoker s classic novel Dracula with a new extended introduction on vampire myths and legends by leading vampire expert Dr Tina Rath. The introduction explores the development of Vampire myths and legends from early sixteenth-century stories to the current teenage vampire obsession evinced by Buffy the Vampire Slayer and the Twilight series of books and films.From Arnold Paul, an allegedly real vampire of the sixteenth-century, to Lord Byron's physician Dr John Polidori who created the vampire Lord Ruthven, to Carmilla, Brunhilda and Varney, who all made their contributions to our picture of the vampire, the picture was completed by Dracula when it was published in 1897. Tina Rath explores our impressions of vampires throughout the ages in books, on stage and on screen, as well discussing the origins of Bram Stoker's Dracula. Dracula is probably the best-known, least-read horror novel in the English (or possibly any other) language. Say Dracula and we all know what we mean: the handsome Master Vampire with sleek dark hair forming a widow s peak on his forehead, a black cloak, possibly lined with red silk, over faultless evening dress, fangs and photophobia. What we will almost certainly not visualise is Stoker's vision of Dracula. Tina explains why. This year sees the centenary of the birth of Peter Cushing, whose screen credits - on film and TV - are numerous and remarkable. I dread to think what cack-handed farrago the BBC might have in the pipeline. The corporation has become rather obsessed with 'analysing' dead celebrities, especially showbiz types. While I can understand this, I really deplore the way the amateur psychoanalysis of not-that-good scriptwriters takes precedence over real expertise in a subject. 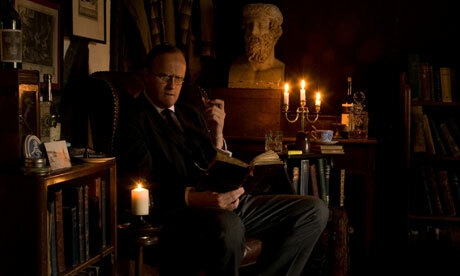 It would be nice Mark Gatiss will get the Cushing gig, in some form. Well, let's see. 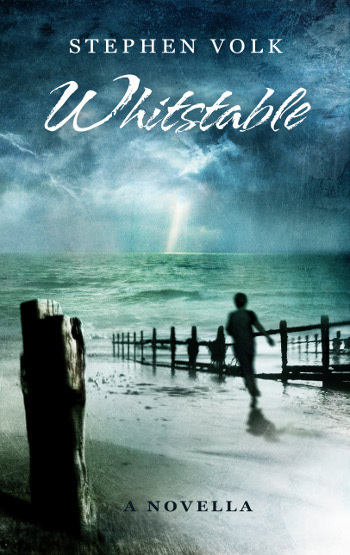 Meanwhile, there's Whitstable. This novella by Stephen 'Ghostwatch' Volk is not a supernatural story, but it features Peter Cushing as its protagonist and is set in the seaside town he loved and which is proud to have been his home. 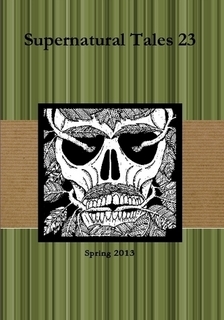 It's due to be published in May by Spectral Press - pre-ordering is now under way. The publisher is also offering a special deal, in which you can get a 2 CD edition of Peter Cushing narrating his memoirs. The Complete Symphonies of Adolf Hitler is Reggie Oliver's second story collection of stories, and is now available in paperback from Tartarus. It is priced £14.95, and can be ordered now from the website here. Reggie is one of the best writers working in the field of the supernatural or 'weird tale', and this collection is well up to his usual standard. It also contains illustrations by the author. And yes, the title story is not in any way tricksy - it does involve Hitler's symphonies.